Mubadala Investment Company will consider an IPO for its fully-owned Spanish oil firm Cepsa “when the time is right”, said Musabbeh Al Kaabi, chief executive officer of petroleum and petrochemicals at Mubadala. Speaking to Manus Cranny, Bloomberg Television at the Bloomberg Invest Abu Dhabi opening dinner, Al Kaabi spoke about the recent stake stale in Cepsa to Carlyle. Carlyle Group has agreed to buy a stake valued at $4.8 billion in Cepsa from Mubadala Investment Co, about six months after the Abu Dhabi sovereign fund shelved plans to list the Spanish oil refiner, said a Bloomberg report earlier. Carlyle will acquire 30 to 40 percent of Cepsa, in a deal that gives the company an enterprise value of $12 billion, said a statement. Mubadala will remain the majority shareholder and the transaction is expected to be completed by the end of 2019. Al Kaabi also said that the Carlyle team and Mubadala team are driven by one principal – value creation. 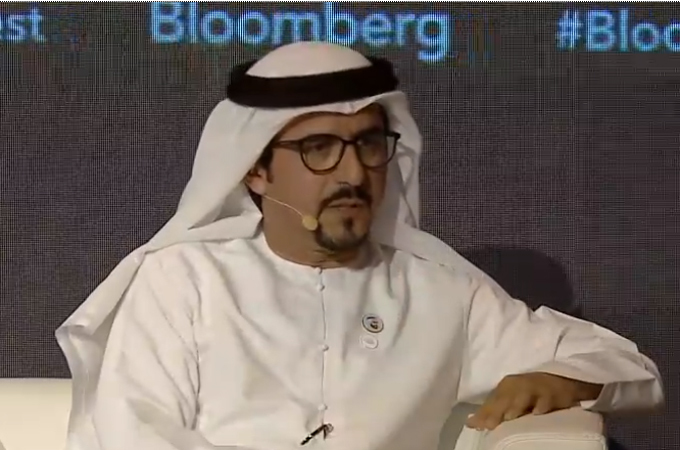 Also speaking at the Bloomberg Invest Abu Dhabi opening dinner was Waleed Al Mokarrab Al Muhairi, deputy group CEO and chief executive officer, Alternative Investments & Infrastructure, Mubadala Investment Company. He discussed the impact of technology on business, highlighting Mubadala’s effort to be an active participant in that space and that Mubadala’s focus is on how the technology is going to create value in the industries that they know best.